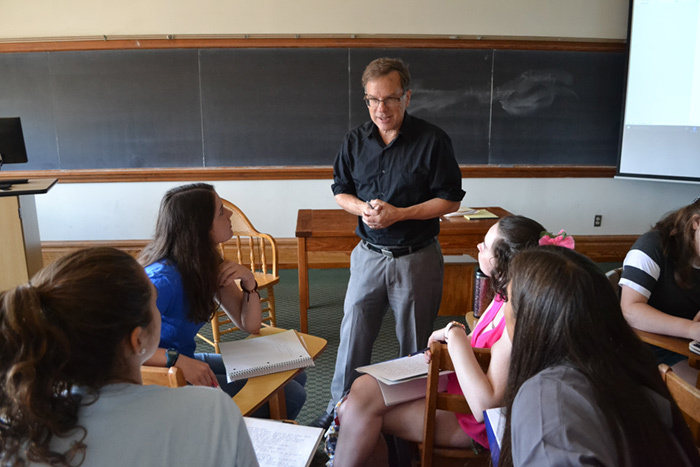 First-year seminars at Dickinson have become a core element of a curriculum that embodies the values espoused by the liberal arts and sciences. These seminars are required for all first-year students and are an introduction to college-level writing, critical thinking and inquiry. Each seminar teaches these skills around a distinct topic taught by faculty from all departments. 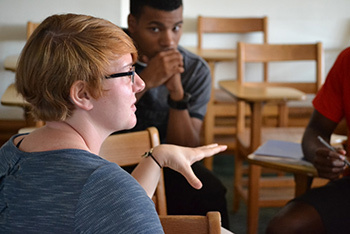 In many ways, these seminars define students’ first year at Dickinson and provide an invaluable intellectual support structure that follows them through senior year and beyond. Read on for student and faculty impressions, numbers, facts and a sampling of last fall’s seminars. Student writer Alexander Bossakov ’20 researched and compiled this information, and in the process he was inspired to write a first-person perspective on how his First-Year Seminar influenced him.